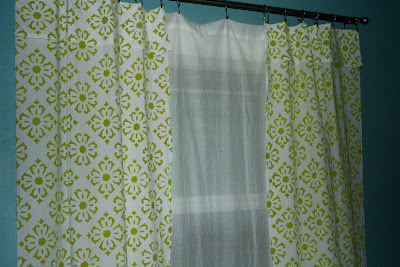 I really love the look of woodblock print inspired curtains from stores like West Elm, World Market, and Anthropologie. 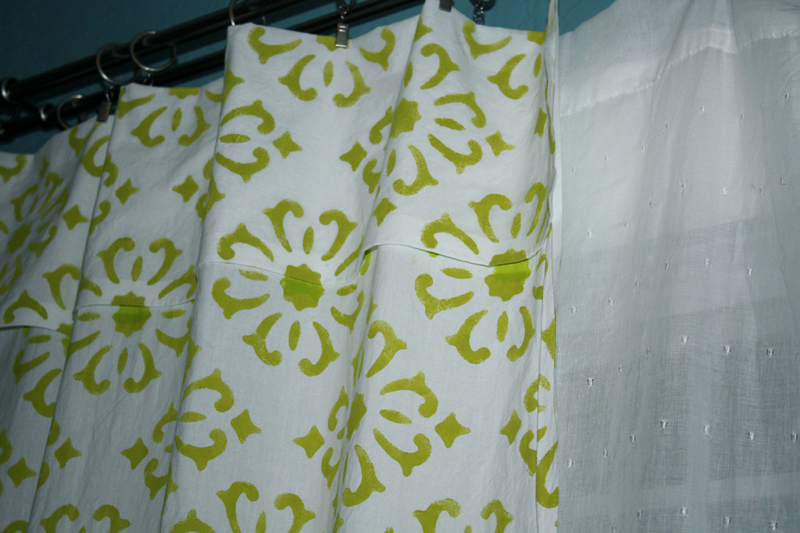 But the price is usually out of my range or the colors or pattern are just not quite right. So being up to trying new things I decided to try my hand at painting a stencil on the curtains we had in our bedroom. 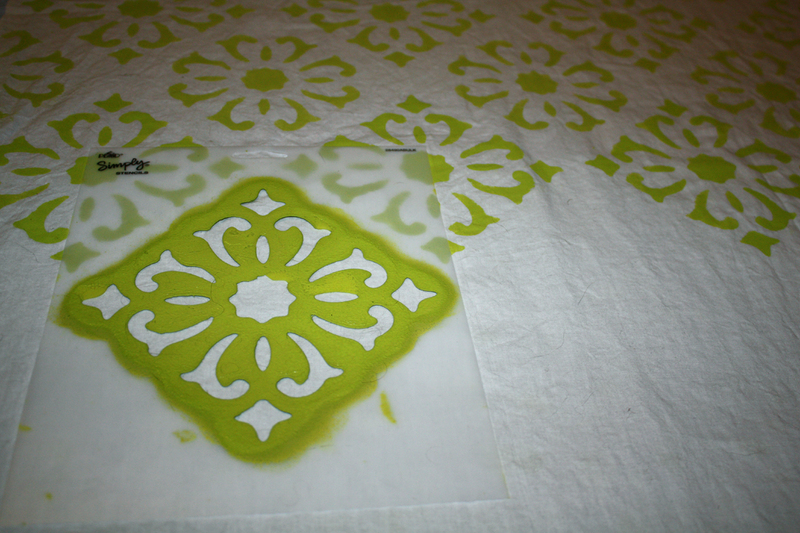 I found a medallion-type stencil from Michael's and some acrylic paint in "Citron" to go with our blue and green bedroom color scheme. 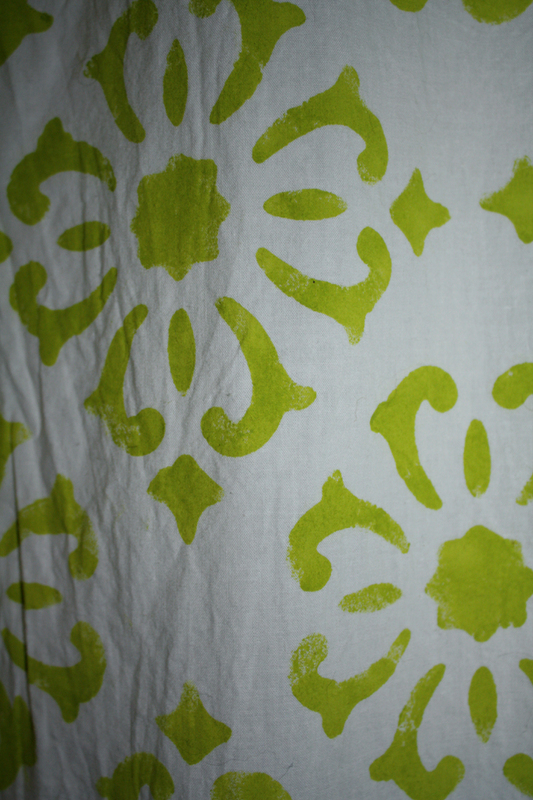 (I'm not sure how acrylic paint will do with washing, a fabric paint may have been a better choice.) I decided to slightly change the medallion pattern for alternating rows by painting or leaving out the little diamond shapes at the edges. I think the new curtains add a nice pop of color. I'm pretty happy with how they turned out. 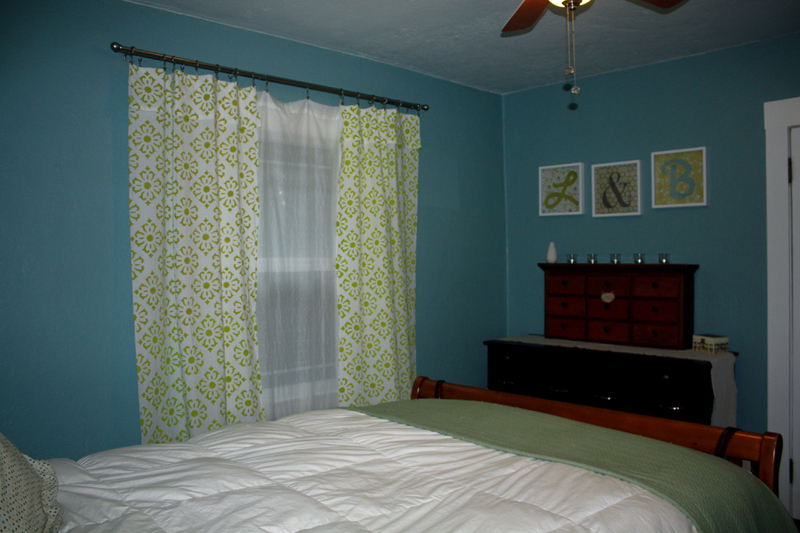 Having only one small window in our bedroom makes the room a bit dark but these new curtains sure do brighten things up! Very nice! Perfect colour too for your room - I like! I love them! The go nicely with the blue walls! great job! I found your blog through a link party and I am your newest follower I would love it if you would check out my blog and follow me too! Thanks! 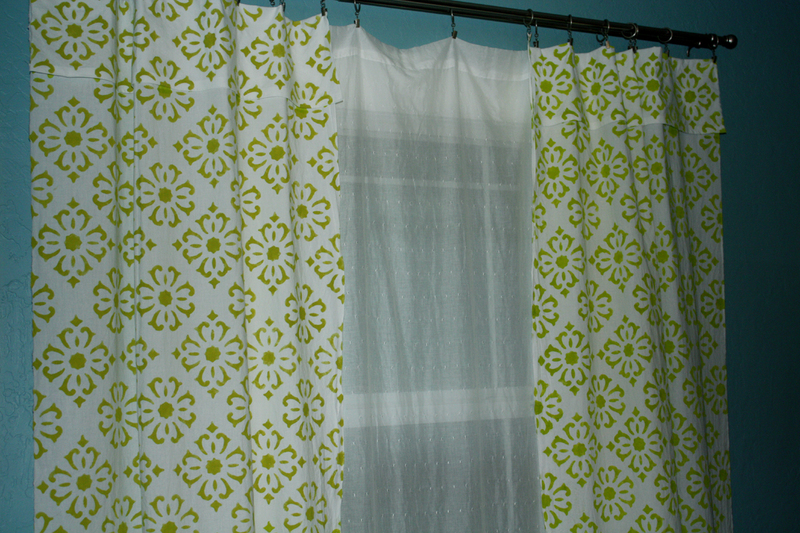 I too, admired the wood blocked curtains at west elm and world market and have entertained the thought of diy. Yours are a tempting inspiration. Great job and awesome! FWIW, I've painted a number of fabric items with straight acrylic paint, no fabric medium, and they've held up quite well in the wash. I use cold water, gentle dryer cycle or air dry. As long as the paint on your curtains is completely dry before you wash (which it obviously is!) you should be fine. I love the pattern and color you've chosen-- might have to do something like that myself! Thanks for the info Jess! I was a bit worried that I might never be able to wash them! :o) Good to know the acrylic paint should hold up in the wash. Thanks again! These turned out so pretty! I love the color you chose! Wow! These turned out great!! Good color choice! I may have to attempt this project! Thanks for sharing! These look great! 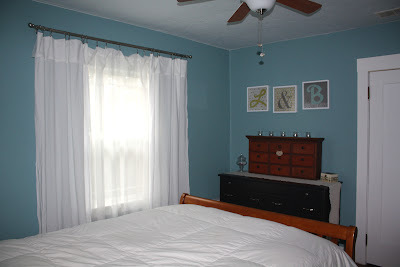 I love the colors in your room! Found you from Somewhat Simple and featured you on my Friday 5! I am very happy with how it turned out. After only one small window in our bedroom makes the room a little dark, but this is no doubt the new curtains brighten things. Turned out beautiful...like the colour you choose...look so smart.